Protect your website from Viruses, Bot Attacks, Hackers, Identity Theft, Search Engine Blacklists. SiteLock monitors your website 24x7 for vulnerabilities and attacks. You don't need technical expertise to install and set up SiteLock for your website. SiteLock is cloud-based and starts scanning your website and email instantly. 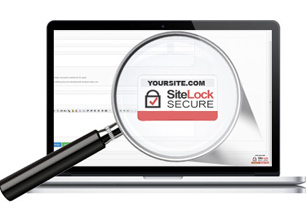 SiteLock screens every aspect of your web presence daily to identify security gaps. It not only checks your website, email and applications, but also search engine blacklists and spam filters. SiteLock's 360 degree scan and powerful firewall identify advanced vulnerabilities before they can be exploited to damage your web presence, thus putting you one step ahead of hackers, always!